The Top Top table line is a Philippe Starck's creation. It is distinguished by its aternation of opaque and transparent surfaces and by an enormous choice of dimensions, shapes and materials. 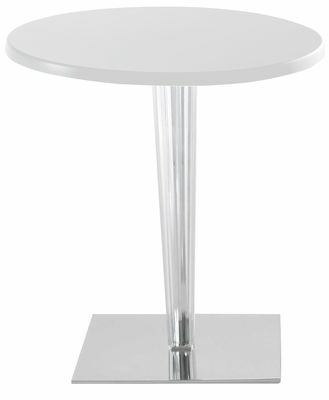 This version with its beautiful lacquered polycarbonate top (Ø 70 cm) is really refined and sophisticated. 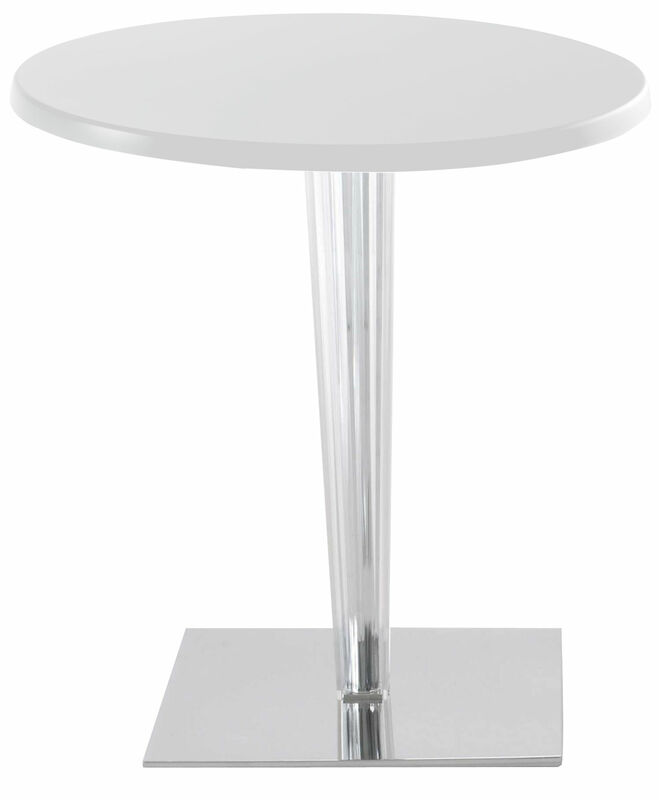 Two kinds of legs are proposed : the leg can be either a round and smooth or a square and faceted transparent section with a metal core. The round makes the structure agile while the square one is sophisticated and elegant. Ideal for your home, it is declined in white and black.